This article will briefly highlight the different ways the Ancestry Composition report displays your genetic ancestry. Follow along in your Ancestry Composition report as we tour each section. You will see a map highlighting the regions of the world that are associated with your Ancestry Composition near the top of the main page of your report. The map is helpful if you want to quickly view all of the regions where Ancestry Composition was able to detect ancestry in your DNA. Learn more about how Ancestry Composition assigns your genetic ancestry. To the left of the map, you will see a list of the regions your ancestors likely lived in before the widespread migrations of the past several hundred years. The populations form a hierarchy, which reflects the genetic structure of global populations. For example, Britain and Ireland are part of Northwestern Europe, which is part of Europe. Click on each population you were assigned to learn more detail about your genetic ancestry. To see all of the different reference populations, click the “See all tested populations” link. Learn more about our reference populations. Our Ancestry Detail reports include more in depth information about our reference populations, their cultures, languages, and more. These population pages may also narrow your results down to the state and city level by comparing your DNA to over 1,000 additional regions in order to provide you with even more information about where your ancestors may have lived within the last 200 years. Recent ancestor locations (found in your Ancestry Detail reports) are intended to complement your ancestral breakdown and provide a more recent and granular view of your ancestry. To determine these results, we look for identical pieces of DNA that you have in common with individuals of known ancestry from around the world. Each recent ancestor location has its own unique demographic history, so we've calibrated our algorithm to better reflect these differences. For a given recent ancestor location, we indicate our confidence in the result, reported as "possible match," "likely match," or "highly likely match." If we are not able to detect recent ancestry from a location with confidence, we report this to you as "not detected." The maps on your Ancestry Detail Reports are a visual representation of your recent ancestor locations down to the state and county level. A map is generated by aggregating the ancestral origins of individuals who share a minimum amount of DNA with you. Your results are a living analysis and will improve over time as more people with known ancestry join our gene pool. Learn more about your recent ancestor locations. In the Ancestry Timeline section of your Ancestry Composition report, you can find out how many generations ago you may have had a single ancestor who came from just one population. Located below your map, the Ancestry Timeline section may be helpful for learning about your genealogy, in figuring out from which ancestors a particular ancestry may have been inherited, or in helping to piece together the history of their likely migrations. When viewing your timeline, start on the left and work your way back in time as you move to the right. Keep in mind that if you inherited a certain ancestry from multiple independent ancestors, the estimated generation may be slightly earlier or later than expected. Learn more about Ancestry Timeline. If you connect with one or both of your biological parents, you will get an extra result! 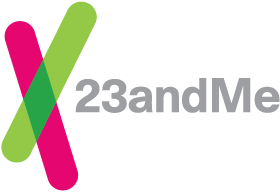 When you connect with a parent who is also a 23andMe user, Ancestry Composition will automatically update to display which portions of your ancestry came from which parent. Connecting with a parent may also increase the resolution of your assignments: for example, more Scandinavian and less Northern European. Learn more about the benefits of connecting with a parent. Connecting with a parent isn’t an option for everyone. While a parent is needed in order to display which portions of your ancestry came from which parent, there are some things that you might be able to infer about your parents based on your Ancestry Composition alone. The Chromosome Painting section, located after the Parental Inheritance section, shows a colorful representation of the 23 pairs of chromosomes that make up your genome. The chromosomes are shown in pairs and labeled with numbers (1 through 22) or the letter X; females will see two copies of the X chromosome, while men only see one copy of the X chromosome. You can hover over or click on the different ancestries in the menu next to your Chromosome Painting to learn where they’re found in your genome. The gray regions in chromosomes 13, 14, 15, 21, and 22 represent parts of the genome where 23andMe doesn’t test any markers because the DNA sequences in those regions are repetitive and hard to measure. Learn more about using Chromosome Painting to explore your family history. In Chromosome Painting, your chromosomes are shown in pairs and are ordered by the length of the chromosome—chromosome 1 is the longest and chromosome 22 is the shortest. You received DNA on these chromosomes from all of your recent ancestors. Because the DNA on these chromosomes is randomly shuffled each generation, it is the length and the number of segments from a particular ancestry, not the specific chromosome number (e.g. chromosome 1), that is informative about your ancestry. We recommend visiting your Ancestry Timeline to learn how many generations ago you may have had a single ancestor who descended from a single population.